Is there really such a thing as a miracle cure for acne? Maybe not, but vitamins come awfully close. Besides strengthening your immunities and fighting sickness, the best vitamins for acne can reduce, prevent, heal, and repair this stubborn skin condition. Read on to find out how Vitamins A, B, C, D, and E are the best vitamins for acne and where you can find them. 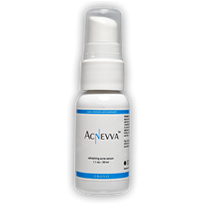 How it can help: A sufficient, daily dose of Vitamin A stimulates the growth of healthy skin. It only takes a small amount of Vitamin A to fulfill the recommended dose, but most people don’t even get a small amount. One of the signs of Vitamin A deficiency is dry, flaky skin. When you get the right amount of Vitamin A each day, your skin will look and feel healthier. Where to find it: Several common foods are full of Vitamin A; including peppers, carrots, sweet potatoes, kale, lettuce, squash, and papaya. 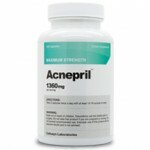 How it can help: Acne is caused by inflammation, and inflammation is a sign that your body needs more Vitamin B. Most people aren’t at a high risk of experiencing Vitamin B deficiency; but if you have poor dietary habits, your risk goes up. Besides reducing inflammation, a regular dose of Vitamin B will improve circulation and help transport nutrients to your skin. Where to find it: Vitamin B can be found in leafy, green vegetables; meat; milk; eggs; whole grains; and fish. How it can help: Vitamin C is definitely one of the best vitamins for acne. 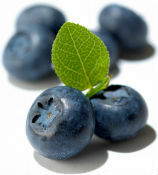 It is full of antioxidants that fight toxins and bacteria. These two harmful substances are some of the leading causes of acne breakouts. Vitamin C has also been proven to stimulate collagen production. 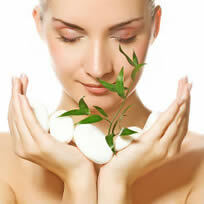 The result for you is skin that looks younger and healthier, and is stronger. Where to find it: Foods that are high in Vitamin C include: oranges, lemons, grapefruits, limes, pears, guava, strawberries, peppers, kale, and Brussels sprouts. How it can help: Few vitamins can do as much for your skin as Vitamin D can. It is an antioxidant and an anti-carcinogen; meaning it protects your skin from free radicals and reduces the risk of skin cancer. Vitamin D also enhances the benefits of Vitamins A & C, and it prevents skin problems like acne and psoriasis. Where to find it: Vitamin D can be obtained from sunlight. But unless you are careful about sun exposure, you can damage your skin more than help it. Other sources of Vitamin D are fish, milk, and eggs. How it can help: Vitamin E enhances the repair process of your skin. Besides reducing and healing existing acne, Vitamin E may prevent and eliminate scars. Experts say that you don’t need a large amount of Vitamin E to treat acne; just up to 400 IUs a day. Where to find it: Sunflower seeds, almonds, olives, green vegetables, and blueberries are great sources of Vitamin E.
The best vitamins for acne may not erase your skin condition overnight. But give them enough time and you’ll soon see that–besides improving your overall health–these vitamins can strengthen, heal, and rejuvenate your skin and eliminate acne and scars!